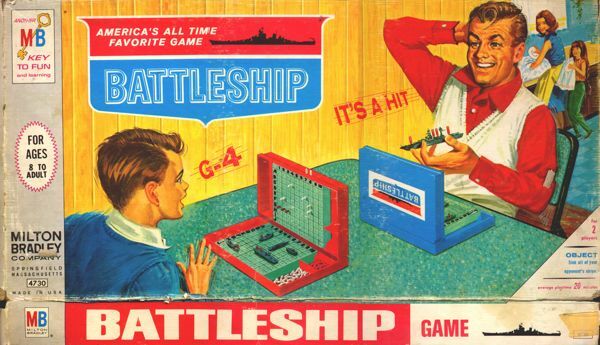 Imagine you’re the top marketer at a company that produces iconic board games and products that were once found in every American home and used by every man, woman and child. Now, imagine that video games, robotics and artificial intelligence have become so ubiquitous that they’ve not only made your games and products seem quaint and antiquated in comparison, but they’ve they’ve converted your one-time base into computer addicts just as hungry to lose themselves inside ‘Call of Duty’ as they are to pop prescription pain killers or inject themselves with heroin. Talk about every marketer’s nightmare. Holy hula hoops, Batman! Well, if you’re Hasbro, makers of the legendary board game, Monopoly, you reach out to what’s left of your audience and ask them to suggest new game tokens. Or, if you’re Crayola, makers of those ubiquitous crayons, you hold a national contest to decide which color to drop. Sadly, dandelion (an underrated Rolling Stones song, BTW) was sunsetted (as consultants like to say). Both stories garnered national coverage (which is no mean feat considering @POTUS routinely dominates the top three stories every single day). But, it’s also sad to witness. Monopoly is a board game that has ALWAYS taken way too long to play. In today’s ADD-addled, 24×7 world, what chance for success does it have? If I were a betting man, I’d predict the game will be sunsetted before the midterm elections put the Democrats back in control of both houses of Congress. And, really, who cares if the thimble, boot and wheelbarrow tokens have been replaced by a penguin, dinosaur, rubber ducky (FYI, my dogs used to shred the rubber ducky I’d bring home with me from a certain Boston hotel). As far as giving dandelion the boot, I’m guessing kindergarten teachers won’t even notice and still insist their students use Crayola crayons to draw barely recognizable windmills that their dads will dutifully pin on their office walls. But, the handwriting is on the wall for Monopoly and Crayola crayons, as well as any other board game of 1960s-era. The two iconic brands are vestiges of a time that has long passed. I’d put each in the horse-and-buggy category circa 1900. They’re holding on, but just barely. It’s only a matter of time before some software manufacturer will create a way cool, much more user-friendly way for kids to color. And, Monopoly is a dead board game walking. I’m surprised it still has a pulse. That said, a tip of the thimble and a last dandelion-colored love note to marketers forced to use CPR and paddle boards to maintain a pulse on two terminal patients. Crayola and Monopoly: You had a nice run, but the hour is late and the last patrons are shuffling out of the bar. So, set ’em up, Joe. Let’s play one more interminably long Monopoly game and keep score with a dandelion-colored Crayola. The kings are dead. Long live the kings. Appreciate the info on Monopoly, CPO Kasko. Five kids! You should be playing the lottery, not Monopoly. They actually just turned Oregon Trail (a computer game from the early 90s) into a card game. I bought it and played it last weekend – it was AMAZING and super nostalgic.